With summer just around the corner I have been searching for the perfect summer-hairdo. I rarely wear my hair straight because it lacks volume and texture so I thought I would try to create perfect beachy waves. While I was perusing the hair product aisle I was excited to see John Frieda®'s Beach Blonde™ collection. I know what you're thinking, she doesn't have blonde hair?! Guess what? You don't have to have blonde hair, this collection works for all hair colors! While shopping I picked up John Frieda® Beach Blonde™ Sea Waves™ Sea Salt Spray, Beach Blonde™ Cool Dip™ Shampoo, and Beach Blonde™ Smooth Seas™ Conditioner. 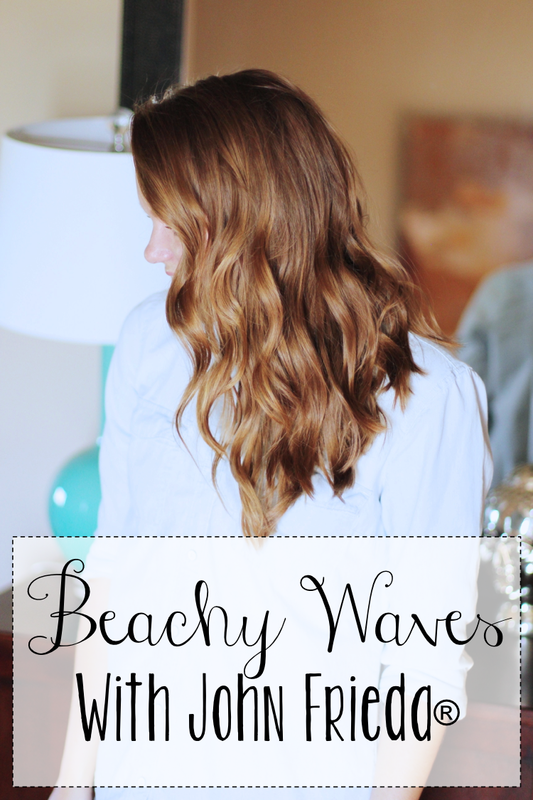 All three of these products helped me achieve the perfect beachy waves! You can purchase this collection at Walmart or shop the collection here! 1 // I started with clean hair, washing with the Beach Blonde™ Cool Dip™ Shampoo and Beach Blonde™ Smooth Seas™ Conditioner. Both have a clean minty smell which I loved. The shampoo helps to detoxify your hair for more textured fullness (like salt does at the beach!). 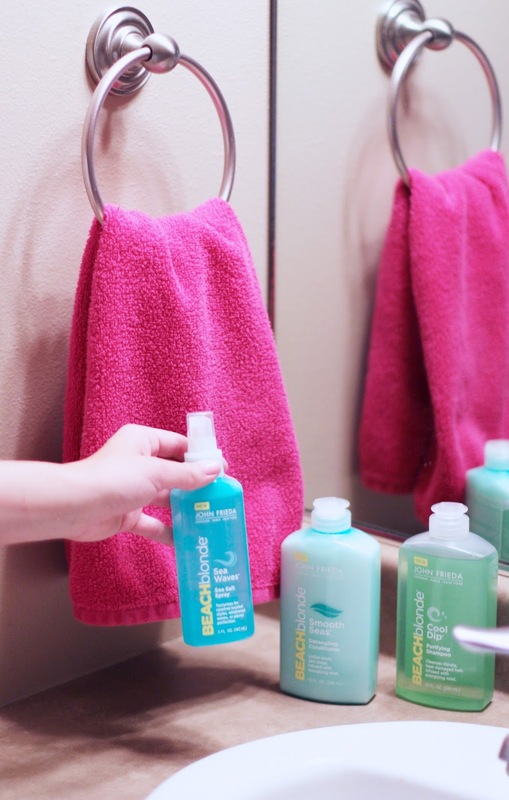 The conditioner helps detangle and soften your hair. Once my hair was towel dried, I combed through it thoroughly and then blow dried it. 2 // Next, spray in the Beach Blonde™ Sea Waves™ Sea Salt Spray while your hair is wet, or, dry and curl your hair first and then spray in the Sea Salt Spray (which is what I did). The spray is infused with natural sea salt and added a lot of texture to my locks which I'm grateful for because my hair lacks a lot (oh, and it smells like coconuts…yum!). 3 // Using a curling iron or a wand, start wrapping your hair around the barrel. By wrapping, you are giving your locks more of a wavy look rather than big curls. I put my hair halfway up and curled the bottom first, then put the rest of my hair down and curled the top. 4 // Then, spray in the Sea Salt Spray and give your hair a good tousle. I wasn't going for perfect curls but more of a "beachy" look and I love the way it turned out! Check out John Frieda® on Facebook and Instagram for more beachy hair goodness! What's your go to summer hair-do this year? Have you tried this new collection? If so, I want to hear how you style your hair with it!! This is so pretty! 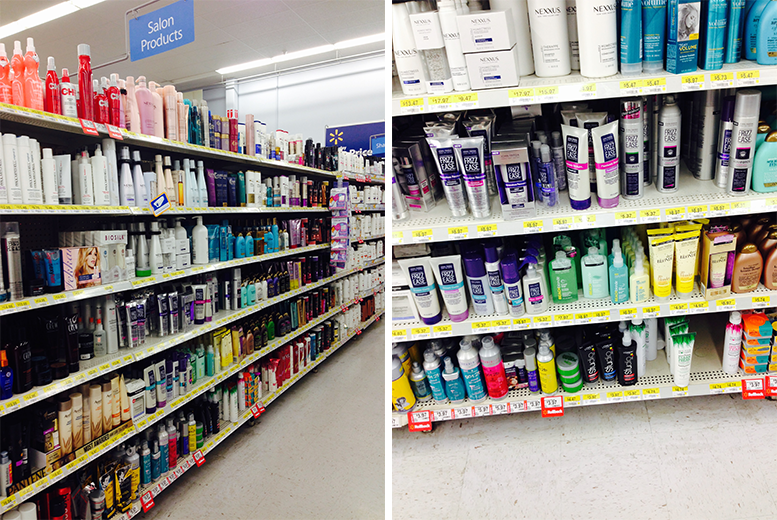 I currently can't find my curling want (argh!) but this is a great look for summer! Thank you! 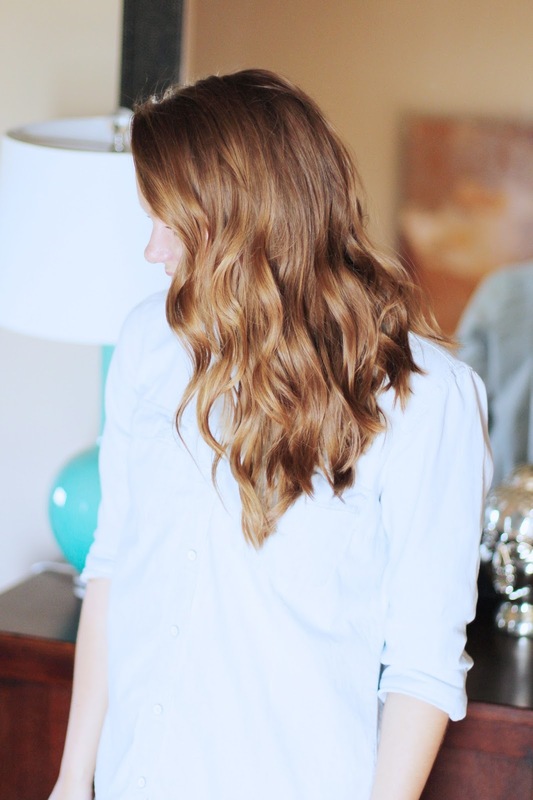 This curling iron was seriously $15 at Target…and it works great! I hate it when I lose things! !